Over the weekend we heard the sad news that mathematician Sir Michael Atiyah has passed away on 11th January. 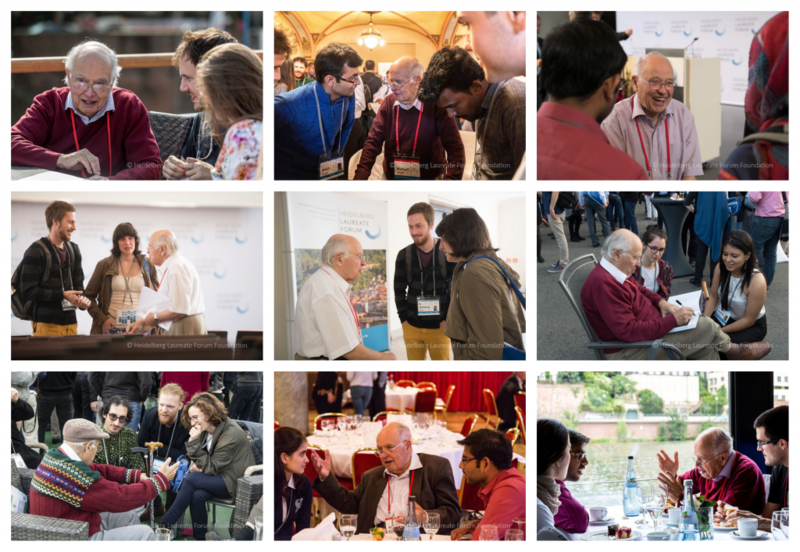 One of the few mathematicians to have been awarded both a Fields medal and an Abel prize, Atiyah leaves behind an extensive mathematical legacy and will be missed by many. As part of the HLF, the Laureates are participating in press conferences throughout the week, and being bombarded with questions by well-meaning journalists and bloggers. Unlike most press conferences, where participants often have a specific topical thing they’re there to speak to the press about, the Laureates can be asked about any of their past projects, on any area of maths they’ve worked on, and many of them have a very long and illustrious career to speak of. It can be difficult then, to be put on the spot by a taxing question, especially if you’re not expecting it. I’ve been surprising the topologists whose press conferences I’ve attended with a deceptively deep but simple question: What’s your favourite manifold?